Enercon Forced to Accept Liability for Harm Caused to Neighbours of Irish Windfarm! A number of families in Co Cork who were forced to leave their homes because of noise from a nearby wind farm have won a significant case in the High Court this week. The families claim they have been severely impacted by noise since the wind farm began operating in 2011. This is the first action of its kind in Ireland and may now open many wind farm developers to the prospect of legal challenges from families in similar situations. The case was taken against wind turbine manufacturer Enercon who have accepted full liability for causing nuisance to seven families who live up to 1km from the wind farm. The case will return to the High Court in 2017 to discuss punitive damages. Promises in Government over the last four years to introduce planning regulations regarding wind turbines have failed to materialize. According to out-dated guidelines, turbines may be built 500m from homes. In many cases, including this, wind turbines have been built closer than 500m. A spokesperson for Wind Aware Ireland said: “There now is a possibility for multiple legal actions against wind farms right around the country. On election, Minister Naughten promised that new planning guidelines would be in place within 3 to 6 months of the formation of the new government. Renewables may Lose “First to the Grid Privileges in EU”. Paring back the “priority dispatch” system could increase carbon emissions by up to 10%, according to a confidential EU impact assessment seen by the Guardian. But the document goes on to model four scenarios for doing just that, in a bid to make Europe’s energy generators more flexible and cost-competitive. Some industry sources have told the Guardian they are alarmed and think it highly likely that priority dispatch for clean energy will be scrapped from the EU’s renewable energy directive, which is currently being redrafted for the post-2020 period. The issue of retroactive changes to funding rules for renewables in Europe has been a cause for disputes and cutbacks in the wind and solar sectors of several countries, notably Spain. Senior industry sources say they will push for financial compensation and access to balancing markets to help prevent a significant industry contraction, if priority dispatch is ended. “We have had enough instability and retroactivity in Europe and going forward, the difference between existing and future assets should be well distinguished,” said one industry source. Fossil fuel power providers argue that renewables have the lowest operating costs and so would anyway receive priority access to the grid network. They also say that taking the clean energy sector out of priority dispatch would prevent “negative prices” – where more energy is produced than can be sold – and eliminate anti-competitive subsidies. The EU’s assessment views the abolishing of priority dispatch as a step towards the creation of a “level playing field” for energy generators. But without such a system, renewable sources may be the most likely to be taken offline because of the relative ease of switching off a wind turbine compared to a coal or nuclear plant. The energy source with the lowest marginal cost – almost always renewables – is usually the first in line to be shut down by power grid operators. As things are, a Europe-wide trend towards ending financial support has constrained the forward march of renewables on the continent, and siphoned off investment to elsewhere in the world. “Everyone is investing in renewables outside Europe right now,” said one industry source. “If you want to bring investors back you have to send very relevant signals. Removing wind and solar power from priority dispatch may be intended to help reform the capacity market system, which currently pays gas generators to remain idle. Ironically though, it could lead renewable generators to demand an extension of the same mechanism to their own sector. “If priority dispatch is removed, then renewables must be given a fall-back option of access and remuneration in the balancing markets to help stabilize the system, or clear levels of compensation in the event that curtailment is necessary,” Joy said. Priority dispatch is supposed to be mandatory under current EU rules, although the UK, Sweden and the Netherlands are among countries that do not comply. The study says that “the biggest impacts on generation [from ending priority dispatch] would be observed in Denmark, Great Britain and Finland, where biomass holds a large share of generation capacity”. But this would be felt more in terms of bio-energy’s “expensive” production costs than its carbon emissions reduction potential, which is disputed inside and outside the commission. “The removal of priority dispatch for biomass would indeed, in the first instance, imply an increase in GHG [greenhouse gas] emissions,” the paper says. The four scenarios for scaling back priority dispatch involve an increase in CO2 emissions of 45m-60m tonnes. Wynne Uses Wind Turbine Scam to Destroy Ontario’s Financial Stability! Can Ontario Escape its Self-Inflicted Wind Power Disaster? Ontario’s energy policy is in tatters; power prices have crushed business and the roll out of thousands of these things has wrecked the lives and livelihoods of thousands, in what were once peaceful and prosperous farming communities. 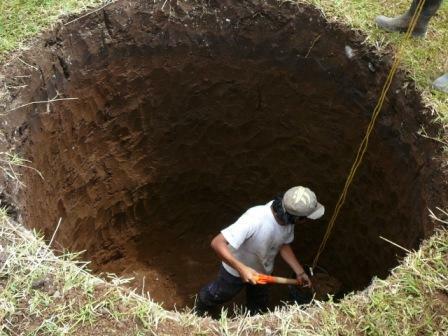 In short, Kathleen Wynne & Co have dug an enormous hole from which there may be no escape. 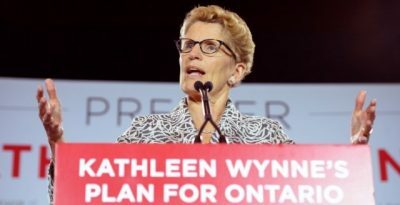 But before the Province considers how it might get out, the only sensible strategy is to stop digging – starting with bringing an end to the ludicrously generous and heavily subsidised wind power contracts that led to the inevitable debacle that’s playing out in Ontario; and which has Wynne’s Liberals petrified of the political consequences the next time their victims come to vote. Except there is a way to deal with the onerous contracts — rip them up. There is no compelling economic, environmental, moral or legal case for the government to “honour” odious contracts. The only honourable course of action for the government, in fact, is to admit its mistakes and pass legislation declaring those contracts null and void. A compelling environmental case? Industrial wind turbines, which rely on fossil fuel backup, do next to nothing to reduce carbon dioxide, the sole rationale for their existence. In contrast to this trivial and dubious environmental benefit, wind turbines do immense and certain environmental harm by disfiguring the countryside and slaughtering millions of birds and bats. A compelling moral case? Ontario’s multi-billion “clean energy” industry has a squalid provenance. This has been largely a closed-door sector in which 11 politically favoured domestic and multinational giants control 90 per cent of the wind power market, letting them pocket an estimated $10 billion in government-mandated subsidies over the next two decades. Although the industry portrays itself as small scale and local, it’s anything but. There is no compelling case for Ontario to honour its odious renewable power deals Pardy’s analysis is sound not just in theory but in practice, as Trillium Power Wind Corp. discovered when it sued for $2.25 billion in damages after the Liberals, to quell fierce public opposition to offshore wind turbines prior to a previous election, unilaterally rewrote the rules. The appeal court had no time for Trillium’s claims, noting that it was “plain and obvious” and “beyond all reasonable doubt” that Trillium could not succeed in arguing breach of contract. Moreover, the appeal court decision dismissed Trillium’s contention that the government had acted improperly out of “purely political” considerations, rather than out of legitimate public policy considerations. As Osler explained, governments are free to act in their political interests: “this decision emphasizes that political factors, such as strong public opposition, are legitimate public policy considerations.” These principles aren’t Ontario-specific — they’re fundamental. Throughout Europe, governments are also unilaterally rewriting their unaffordably generous rules governing the renewables industry. Cancelling Ontario’s odious renewables contracts would immediately and directly lower rates for the province’s citizens and industry, reversing the harm to the provincial economy and improving the government’s prospects in the coming provincial election. A cancellation would bless the citizens of Ontario — and other provinces —indirectly as well, by disciplining future governments and investors alike. Investors would be leery of participating in future politically motivated government programs that weren’t fundamentally sound, making it difficult for future governments to pursue pet projects that run the risk of harming the citizenry. Benign government projects — say building a school or hospital — would run no such risk and discourage no investor. Contracts are sacrosanct between private parties, when they follow the law. Contracts means something else entirely when one party — the government — makes the law and is free to change it. Let the investor beware before getting into bed with government. Let the government think hard about whether its fling with renewables is an affair it wishes to continue. Governments Intentionally “Dumbing Down” the Populations…In Order to Manipulate! Wind warriors – ever wonder how woefully hard it is for truth, justice and the American way to prevail over propaganda by paid off politicians, media and environmental groups in the wind battle? “And as I’ve mentioned, we’ve all been quite content to demean government, drop civics and in general conspire to produce an unaware and compliant citizenry,” he writes”. The email is a shocking insight into the elitist and arrogant mindset, with Americans viewed as dumb sheep who need to be herded in the right direction. Wind Fiasco Promises to be the “Liberal’s Undoing”! You have to wonder how bad the Ontario Liberal party’s internal polls are to force the government to fold on its signature green energy policies. Published polls show both Premier Kathleen Wynne and party have found a basement under rock bottom and it’s likely private polls show the same or worse. The fact wind factories were destroying communities and tearing families apart in rural Ontario meant nothing at Queen’s Park. Likewise, the Grits ignored endless pleas and protests from municipal leaders and wind opponents. They dismissed as meaningless complaints about wind turbines driving families from their homes. Even the mounting evidence giant turbines are contaminating nearby wells didn’t move Wynne and company. Plus, the Liberals were experts at ignoring the media, who repeatedly pointed out green energy problems that were leading Ontario into power poverty, particularly in rural areas. As the old joke about always being ignored until you pass gas in an elevator goes, it only took one Scarborough byelection loss to change the landscape. The Grits’ first response was the throne speech fiasco to “reset” the agenda. That brought the eight per cent tax rebate on energy bills, a give that went over like a lead balloon. Now future renewable energy projects valued at over $3 billion are gone because experts said Ontario has excess power. It’s too bad bureaucrats couldn’t have figured that out for themselves months ago when they started delivering extra power across neighbours’ borders at huge losses to Ontario. The big question is, now what? Cancellation of future projects will keep power bills from rising by a measly $2.45 per month in the future. But that does nothing about the current power crisis. Obviously there’ll be more goodies to come on the power front as the government gets ready to face the people in 2018 but with a provincial debt of $300 billion and counting, how significant can they be? Besides all the ways in which the people of Ontario have been victimized by green energy initiatives, the biggest crime is the bad rap the experiment has given to renewable energy. Former premier Dalton McGuinty and his energy minister George Smitherman got in bed with international companies to bring green energy to Ontario at the highest possible cost. 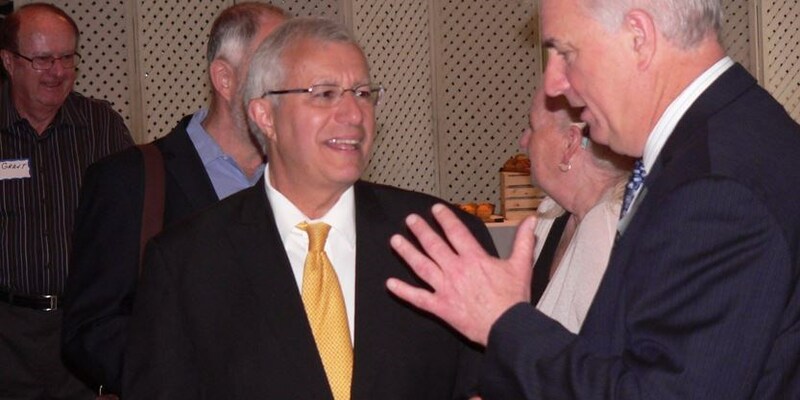 Had these two done their homework and paid even scant attention to the people of the province, they would have found all kinds of ways to introduce renewable energy on a smaller scale with Ontario residents, not offshore companies, reaping most of the benefits. Instead McGuinty set the stage for all that was to come by prejudging most criticism of green energy projects as nothing but NIMBYism, (Not in My Back Yard). From that moment of insult to the intelligence of rural Ontario residents, the entire green energy plan became more farce than future. Wynne, of course, doubled down on all that was wrong with the program and has brought Ontario to the financial disaster in which it finds itself today. The antipathy is massive towards Wynne in rural Ontario because of the energy mess and other fumbled files from health care to the environment to trail development. Her government is unlikely to recover in the boondocks. The interesting question for 2018 is how many urban folks can be convinced that the Liberals have learned their lesson and suddenly will become good stewards of Ontario’s money and interests. Even that seems to be an insurmountable hill to climb. Electricity is back in the news again and some are expressing that green jobs might be lost if the province doesn’t enter into any new agreements for renewable energy. This will save Ontarians a whopping $2.45 per month on their electricity bills. Ontarians need to know about the original contract between Ontario and Samsung/Korea Consortium, where there was to be approx. 16,000 jobs created. This was challenged in the World Trade Organization Court and Canada lost. Because of the amended trade agreement in 2013 Samsung/Korea could “develop, construct and operate wind and solar generation projects” totaling “up to 1,369 MW of capacity (Phases 1 and 2 and 300 MW for Phase 3). It could also “establish and operate facilities” to “manufacture wind and solar generation equipment” which might create approximately 900 jobs. With how much Ontarians have spent on this monopoly there would be 900 jobs created – think about that. And it would be the same deal even if it were the PCs or the NDP. They are all getting the same failed advice from the same back-room boys. We also must remember that there is 3 phases to the Samsung/Korea monopoly and only new agreements, with others, won’t be entered into. This leaves Ontarians on the hook for the next umpteen years, according to the press, and what about the turbines that are already expropriating people’s use, enjoyment and operation of their land with 500 meter plus set-backs, that go over property lines. According to the Canadian Wind Energy Association, a noise receptor is the inner ear, not the government’s definition that it is a house. This expropriation/violation should not be tolerated by any Ontarian because if it can happen to one person it can happen to any person. And one merely has to look at the “big 3” parties to see why this is continuing. Bill Davis’ PCs (1985) was one of the first to have a government agreement with Suncor (TransCanada), which neither, the Liberals or NDP seem to cancel. This might explain why none of the parties are not saying anything about the breach of trust involved with the cancellation of the gas-plants. Wynne even admitted her government had committed breach of trust against Ontarians – silence from the other parties. As for the Attorney General’s office, why isn’t it upholding the law? Isn’t that its job? When Ontarians find out what is really happening they might look to someone else to represent them in Queen’s Park and not merely the “big 3” representing the “back-room boy’s.” These costly agreements will be back, no matter which party is in power. So don’t be fooled. We have 18 months to find someone new – let’s do it. Legislative Researcher – MPs, MPPs, Mun. Councillors, etc. I am not a lawyer and do not give legal advice. Any information relayed is for informational purposes only. Please contact a lawyer.